Warner Bros. Plans to Remake ‘Unforgiven’!!! Since there have been two deaths in the past 24 hours, and bad news and deaths usually come in threes, I hope Clint Eastwood, doesn’t die of shock when he reads this. Japan’s Warner branch is planning to remake the 1992 Clint Eastwood western ‘Unforgiven’. 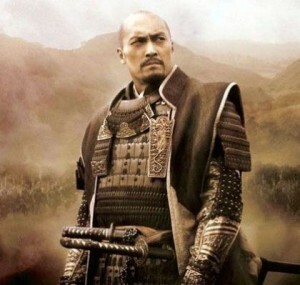 This time it will be called ‘The Unforgiven’ and will star Ken Watanabe as the Eastwood role. It will also be a samurai period flick. Lee Sang-il will direct. Akira Emoto and Koichi Sato will also be starring in the film and is schedules for a 2013 release. In Japanese, the film will be called ‘Yurusarezaru mono’. The film will take place in 1880 (like the original film), but will center around the northern Japanese island of Hokkaido. This was a time when Japanese settlers were displacing the native people according to Variety. Watanabe will play a badass samurai who comes out of retirement due to a large bounty. Let’s not forget that Eastwood broke out into stardom in a remake of a Japanese film. That film was called ‘A Fitstful of Dollars’ and was a remake of ‘Yojimbo’ by Akira Kurosawa. This all looks good on paper, I just hope this will connect and be executed the way it deserves to be. And how great would it be to have Eastwood cameo as a role somehow. Or better yet, get Hackman out of retirement, and throw him in there for good measure. ‘High Noon’ is Getting Remade! This entry was posted on Monday, August 20th, 2012 at 4:58 pm	and is filed under Film, News. You can follow any responses to this entry through the RSS 2.0 feed. You can skip to the end and leave a response. Pinging is currently not allowed. The Akira Kurosawa movie was “Yojimbo” (The Bodyguard), not Yokimbo. ‘Yokimbo’? maybe you meant ‘Yojimbo’? « Buster Keaton’s ‘The Navigator’ Blu-Ray Announced and Detailed!! !